OBDSTAR H100 Key Programmer is regarded as the next generation of OBDSTAR F100. OBDSTAR H100 Ford Mazda key tool can perform immobilizer function and mileage correction function on the newest Ford Mazda up to 2018 year e.g FORD Pin code Free Matching for New Mondeo/Edge/Taurus/Mustang/F150 2015- Models: Edge 2016+, F150 2015, Galaxy 2015+, Mondeo 2015+, Mustang 2015+ and Ranger 2016+, etc. 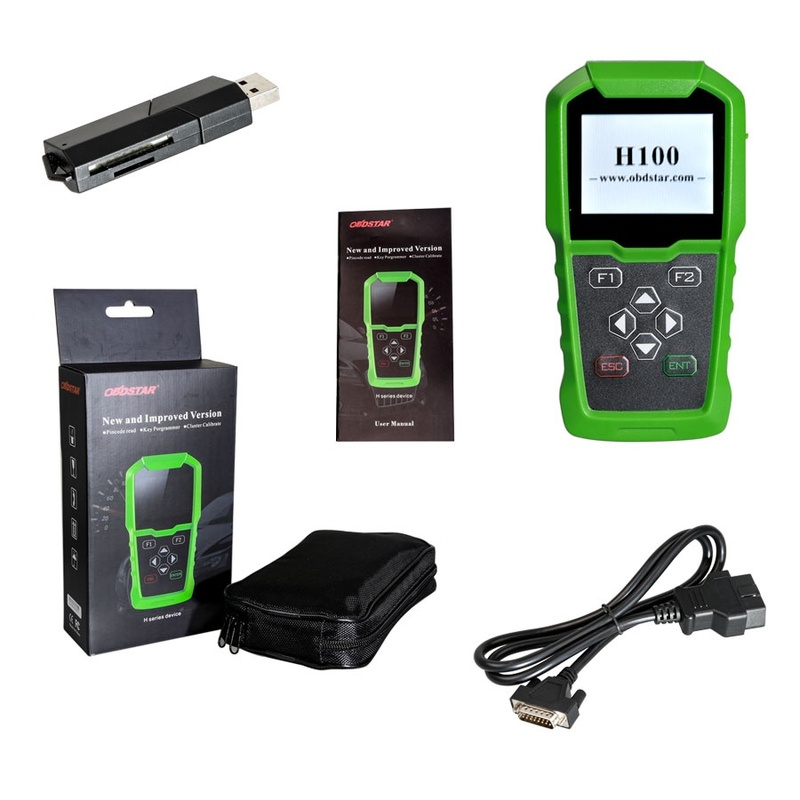 Here OBDSTAR H100 whole package: a high quality of main unit with display screen, one OBD main cable, one user manual and one TF card reader (used to update online). And the whole package only weights 0.22LB which is much easier to take. More expensive than OBDSTAR F100 because of its better coverage and new hardware chip.